architect and engraver; b. between 1510 and 1515; d. after 1584. Founder and chief of an important family of French architects. 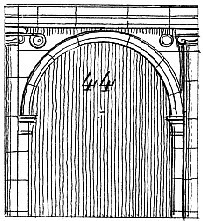 The surname du Cerceau came from the cerceau or circle which served as a sign over the door of his atelier. It became inseparable from his name, and was afterward used as a title, his descendants being called Sieurs du Cerceau. Although a leader in the propaganda of the Italian Renaissance in France, the only evidence that he studied in Italy is in the character of his works, and especially of certain drawings in the royal library of Munich which are ascribed to him. The only building which can be attributed to him with certainty is the choir of the little Church of Montargis, France. He is supposed to have built parts of the châteaux of Montargis, Verneuil, and Charleval, all destroyed. He is known only by his books on architectural subjects and his splendid engravings. The large number of drawings and engravings attributed to him have been catalogued by Von Geymüller. His principal books are: Recueil de Vingt-cinq Arcs de Triumphe, Aureliæ (Orléans), 1549, folio, 25 pl. ; Líber de eo picturæ genere quod grottesche vocant Itali, Aureliæ, 1550, folio, 25 pl., dedicated to Renée de France; reprinted by Wechel in 1566, with the title Livre de Grotesques; Livre d'architecture de Jacques Androuet du Cerceau contenant les plans et dessaigns de cinquante Bastimens tous differens, etc., Paris, Benoist Prévost, 1559, folio, 50 pl. ; dedicated to the king; Leçons de perspective positive, Paris, Mamert-Pattison, 1576, small folio, 60 pl., 12 pp. text, dedicated to Catherine de' Medici; Le premier volume des plus excellens Bastimens de France, Paris, 1576, folio; dedicated Catherine de' Medici; Le second volume des plus excellens Bastimens de France, Paris, Gilles Beys, 1579, folio; also dedicated to Catherine de' Medici. (These two volumes compose the most important of Jacques Androuet's works. As many of the buildings represented in them have been destroyed or mutilated, its historical interest is very great); Livre des édifices antiques Romains, 1584, folio, 63 pl. ; dedicated to the Duke of Nemours. architect and engineer; b. 1521; d. 1600. Folfi made the model for, and built, after 1549, the palace of Giovanni Uguccioni, in Florence (unfinished). There is a sketch of this famous design in the Uffizi, by Giorgio Vasari, the younger. 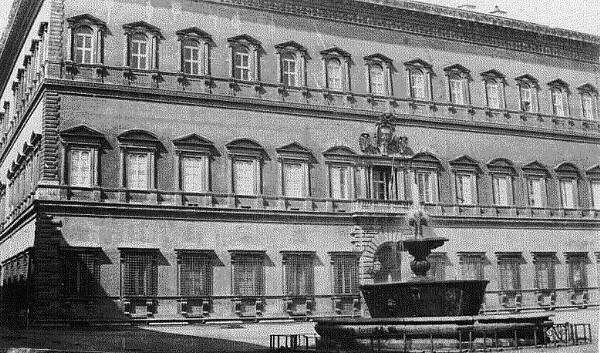 The building is still in the possession of the Uguccioni family. Arches of the Farnese Palace at Rome by Vignola; return towards the principles of the ancients. Antonio da San Gallo the Younger, Michelangelo, Palazzo Farnese (Rome: 1541-49). 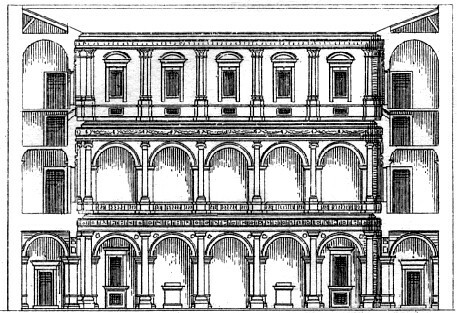 Section of the court of the Farnese palace, Rome; the general plan of this palace and the Doric porticos of the ground floor are by Antonio Sangallo, the Ionic order of the first floor is by Vignola, the decoration of the upper story is by Michael Angelo, as also the famour entablature, which so magestically crowns the exterior of this edifice. 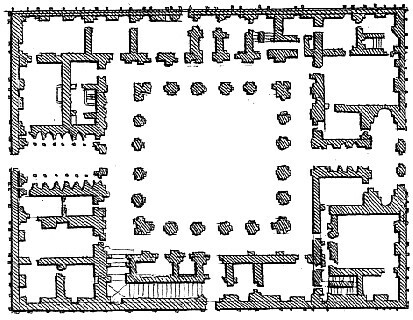 Plan of the ground floor of the Farnese Palace, one of the most imposing buildings of modern Rome, the work of Antonio Sangallo the younger, the nephew of Julian and Antonio Sangallo the elder. He greatly surpassed his masters, and by a number of remarkable works contributed to the perfectioning of an art which had become hereditary to his family. 4. One of the inner-columniations of the first and second story of the Farnese palace; the Ionic order of the first is by Vignola. 5. Capital and cornice of the second story. 6. 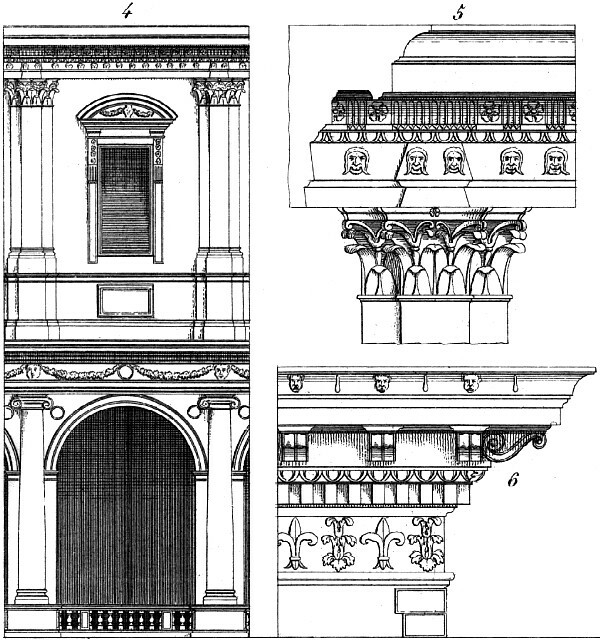 Profile of the entablature crowning the exterior façade of the Farnese palace. 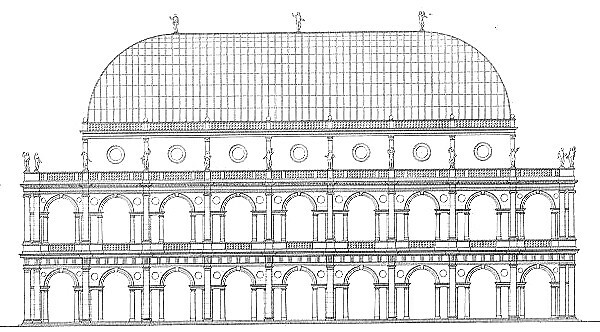 Andrea Palladio, Basilica Palladiana (Vicenza: 1549).